The bi-directional energy meter with Modbus serial interface helps you to save energy and help you run your home more efficiently. Accurate data: The Modbus Electricity Meter provides data such as energy (total and partial), active power, voltage and current. 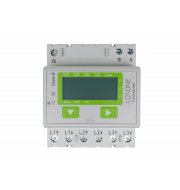 Available as Single Phase or 3 Phase: For monitoring and evaluation, for example, compare the energy consumption and the production of electricity in your home. Bi-directional: The Modbus Electricity Meter reads whether and how much electricity has been produced or consumed. 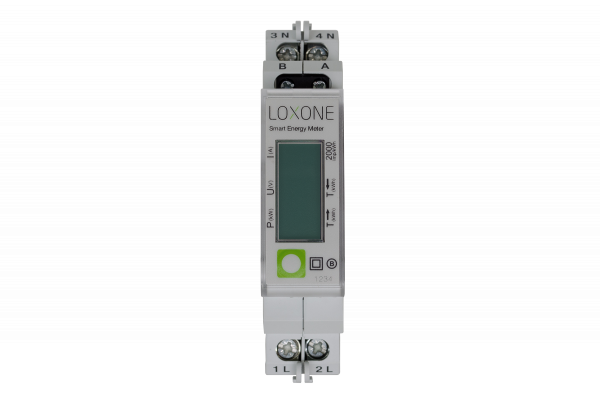 Easily integrated: With a handy template in Loxone Config, the Modbus Electricity Meter is easy to integrate into your home.